It's the holidays, which means its time to show off your home theater for many a gathering with friends and family for some holiday fun. What to watch? The question is more difficult than it may appear, as some movies will be overly-familiar to audiences, while other cult classics are barely known. What follows is a mini-guide to the best holiday films, past and present; the kind of audience who will be watching should inform what you choose to regale them with. A Christmas Carol (1938): The original film adaptation of this Dickens classic is still the best, and while its production may appear antiquated, it manages to deliver where it counts even after all these decades. The black and white imagery even gives it a ghostly, hallowed quality, much like that other holiday staple "It's A Wonderful Life". This is an instance where the story and message is so timeless, that even jaded children raised on their XBox and iPhone will pause to find out what all the fuss is over (and if they won't, there's a modern 2009 adaptation for them, too). Besides, the holidays are about tradition, and a viewing of the original "Christmas Carol" has been part of that tradition for so long, why stop now? Toy Story (1995): one of the first and best Pixar films became an almost instant holiday classic that spawned several hugely successful sequels and a gigantic marketing franchise. This film is perfect for those with smaller children, and does not seem to age with the passing of time. 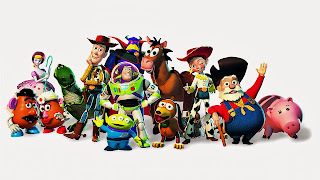 Pixar also used then state-of-the-art technology to enhance the picture and sound, meaning that it will still look good on today's uber-smart screens. But beyond all that, it has what is at the core of every successful holiday film: a heartwarming, uplifting story with many memorable characters, that is syrupy (but who doesn't succumb to feel-good vibes during the holiday season?) and yet somehow avoids being overly-trite. It's A Wonderful Life (1946): This still gets this blogger's vote as the greatest holiday film ever made. The storyline is as classic as any classic novel, and the performances are extraordinarily powerful in presence and scope; it's as if Santa himself sprinkled a kind of otherworldly magic all over the celluloid. The film hit the holiday bullseye so well that it became an overplayed staple of the season--but if you haven't seen it in a while, give it another chance, especially with a chance to see it in all of its glory in a deluxe home theater setup. How The Grinch Stole Christmas (2000): this film did big at the box office while earning mixed reviews, but audiences have since had their say in making this a growing holiday tradition in the years since. Jim Carrey delivers a typically aggressive, manic performance that transforms the flavor of the original animated version (a classic in its own right). Seeing the popular response to this film, its critics have since changed their tune, and now the film appears on many "best holiday film" lists such as this one. 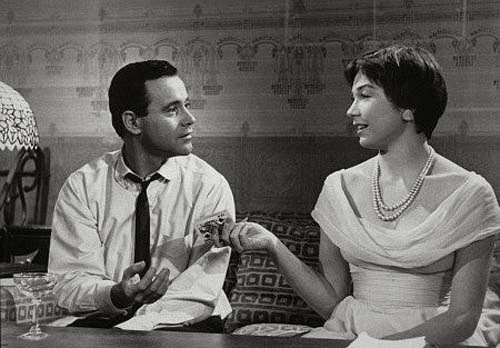 The Apartment (1960): looking for a lost holiday classic? Billy Wilder's contemporary comedy "The Apartment" won the academy award for best picture in the year of it's release, and holds up surprisingly well today. Shirley MacLaine certainly never topped her performance opposite Jack Lemmon, as their onscreen romance goes through several twists and turns throughout the film's length. This is a mature mix of comedy and drama that was made for older viewers looking for something with a bit more depth, although older children have actually been known to enjoy it as well (never be put off by showing them a B&W film, assuming a child will reject it on principle--sometimes they will, but you might be surprised).